It’s here! The hotly anticipated movie Veere Di Wedding with an all-female star cast has released its trailer - and it promises to be every bit as good as we hoped. 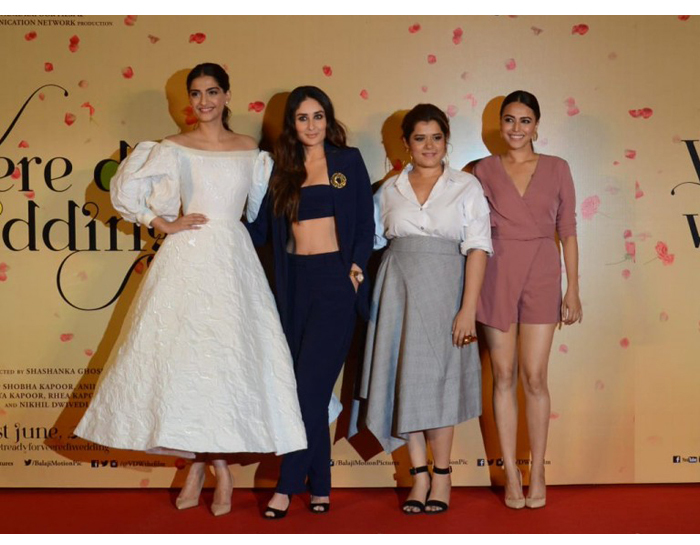 The movie sees former Khush cover girl Sonam Kapoor starring alongside Kareena Kapoor Khan, Shikha Talsania and Swara Bhaskar as a group of four 'pagal' friends who are various degrees from marriage. Touted as the Bollywood version of Bridesmaids, the film is set for a June 1st release date. It appears to be a hilarious dramedy set against the background of a wedding (and a divorce).